For those of you who have been following my blog you know that I am in a job where my boss is a bully. It has been an extremely difficult and emotional journey. I truly believe that being bullied at work is a form of harassment in the office, especially when the bully is the owner/employer/guy who signs the pay check. Here is an experience I had a few days ago (last Friday). I was at my desk reviewing and organizing medical records. The boss (bully) walks into my office and says in a very loud and aggressive voice, “I want you to put on your calendar for Monday to check on those bills you requested.” I said I would. He said even louder than before, “I want you to do it now.” I said, “I’m working on these medical records but as soon as I get done I will put that on my calendar.” He started yelling at this point and said, “No, I want you to do it NOW.” I said, “I will do it in a few minutes, I will not forget to do it, but I would like to finish what I am working on at the moment.” Then he went into total tirade mode. He started screaming that I worked for him and I was to do whatever he told me to do and do it right then no questions asked and that if I didn’t do it we were just going to have to have “a talk” meaning of course that he was going to threaten to fire me. He then stood over my desk pointing his finger at me and with a hateful and disgusting face. I stopped what I was doing and put the note on my calendar. He stormed out of my office muttering. I can assure you that what I was working on before the interruption and explosion was much more important than making a note on my calendar! By the way, the bills that he was asking about came in a few minutes later by fax. I can honestly say that during the years I have had to endure this bully, I could not begin to count how many times I have been bullied, harassed, threatened, intimidated, screamed at, wrongly accused, tormented, lied to and treated as though I am a robot. He seems to take immense pleasure bullying those who are somewhat timid, perhaps shy, and older people. I must also point out that his office victims are ALWAYS female. Yes, I am a victim, but trust me, I will find a way out of this and be free! Maybe this doesn’t seem like a big deal to you and if it was the only time or the only instance where I have been treated in this manner, then maybe it wouldn’t be. BUT. . .this has been going on for a long time and especially since I have gotten older. I am not the only one he has treated in a disrespectful and abusive manner but those co-workers have all left because they couldn’t take his harassment. I have stayed only because I need the pay check and jobs in my rural Midwest USA area are slim if any. Also, I don’t have a second income (husband/partner) to help with the financial burdens of everyday life. I have been diagnosed with PTSD as a result of the hostile work environment I am in. My doctor tried me on several different prescriptions but my sensitive stomach couldn’t take them. I turned to CBD Oil after talking with a friend and doing research. The CBD Oil has made a tremendous difference in my physical health. Although I realize that until I quit this awful job, I will have to endure some physical problems, I am at least able to work without pain and extreme anxiety with the help of CBD Oil. I urge you to consider CBD Oil if you are having anxiety attacks. Always consult with your physician first. AND do the research! One would think in this day and age and with the “Me Too” movement getting stronger every day, that there would be a movement against workplace bullying. Maybe it’s time to start that movement. A bully does not belong in the workplace under any circumstances and the bullies should be confronted, outed, and if necessary, taken to court. Bullying in my opinion is harassment and it must be stopped. I know that I have mentioned in prior blogs that I decided to look into online marketing as a means to be able to work from home and get out of this position. I did extensive research on various “work from home” opportunities. Sadly, there are a lot of scams out there so it took a while to sort through everything. 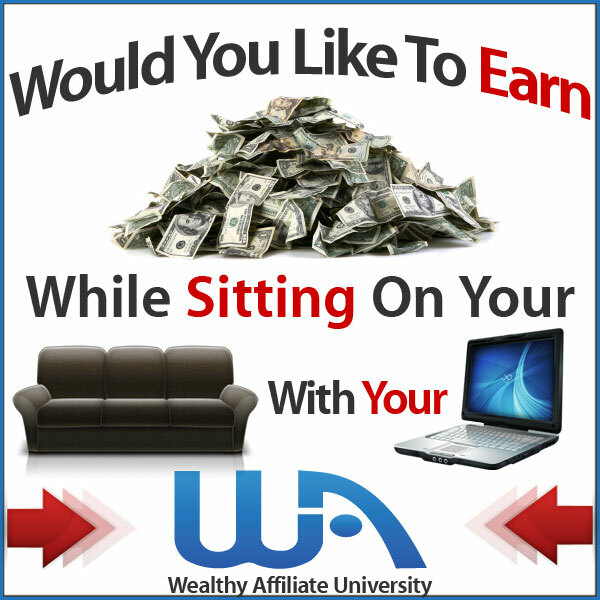 I found a place called Wealthy Affiliate. They offer training, tons of information and a community of like-minded people who want to learn and succeed in online marketing. Although I was quite skeptical of this at first, I went ahead and tried it out. I have not regretted it for one minute. I have websites now and even more important, I have a belief that with Wealthy Affiliate guiding me through it, I will find my freedom by doing online marketing from the comfort of my home. If you are interested in finding out more about Wealthy Affiliate, please check it out here. I know there are victims of bullies out there and I have heard from a lot of you. Please feel that you can reach out to me. I will always listen and if I can help, I certainly will. I don’t want anyone to suffer like I have and I want to see the scourge of the workplace bully be a past experience for everyone. Leave your comments below, I really appreciate it! Take care and hope for the future! However sad it sounds, I’m also used to this kind of treatment. It’s sad that sometimes we have to deal with bosses who don’t know how to treat people rightly. They just enjoy over exuding their power as the boss. Funny enough, I’ve never seen my boss yell at a client, this means he does it on purpose. I have also resolved to leave my job by trying out online income streams. Hopefully, I’ll earn enough online and never have to endure torture from anyone else. I really appreciate you sharing your experience. I understand what you mean when you say you get used to this kind of treatment. We think we are handling it, but deep down inside we are in turmoil and sooner or later that is going to come out in some kind of physical form. I am so glad that you are also trying out online income streams. Let’s keep in touch and maybe we can find that peace! Take care and success to you! Hello I am yet to experience such I don’t work for anyone but I have heard some friends complain about it, can you do anything legally about it all falls down to the system in your country I think. Thank you so much for commenting on my post. As far as what can be done legally, it does depend on what country you live in. In the United States, there are no laws in force as yet. You might be interested in reading my post on what can be done legally. It is https://workplacebullybyebye.com/can-anything-be-done-legally-about-a-workplace-bully. There is a quote that says Salary is the bribe given to employees in order to forget their dreams; I have always hate being an employee ever since I experienced an horrible life with my former boss. I had to resign and focus fully on being an affiliate marketer and also did some research on how to make money online. I have never regretted my actions since then. Entrepreneurship is the key; Its high time we open our eyes to the beauty of managing our time for our usefulness not for bosses. Your quote is inspiring and thank you so much for sharing it with me. I will remember it forever. It is nice to know that there are people who understand what I am going through and that have suffered themselves. It is also wonderful to see that you got out of a horrible situation and found your dream! I plan on doing the same thing so I hope we can keep in touch. Thank you again for your kind thoughts and inspiration. Thanks for sharing this article on work place bully. It’s so unfortunate that many boss treat their subordinate as a nobody all because they are the boss. Making them work over time and not paying them for it. I know of some bosses at work that rain insult on workers and taking advantage of the fact that there is no employment thus they have no choice than to remain. Some people are just unhappily working just to get salary, they are used to bullying. I just hope something is done about it like enforcing a law to enforce it. Thank you for sharing your thoughts on workplace bullying. Unfortunately there are many bosses who feel they have the power to bully so they do it. You are absolutely right that there are many, many people who have to endure this abuse because they must have a pay check and in some areas of the country there are few jobs, so people are stuck and miserable. I too hope one day there will be laws to prevent this behavior. Your concern is very much appreciated. Hmmm, thanks for sharing your experience. It is so disheartening seeing the rate at which this odd act grows. I don’t know why some people take delight in making life difficult for others. A sister of mine once faced this kind of harassment in her place of work by her boss.. She eventually quitted the job , she is now into business and doing fine. Thank you Michael for commenting on my post. It is truly disheartening that such behavior exists. Bullies have issues for sure or they wouldn’t feel it necessary to take out their frustrations on others. I am glad to hear that your sister was able to get out of a bad work environment and found something that makes her happy!